Vitamin K is a vital nutrient that our body needs for blood to clot and stop bleeding. We get vitamin K from the food we eat. Some vitamin K is also made by the good bacteria that live in our intestines. The newborn infant is usually given vitamin K after birth to prevent a life-threatening disease called hemorrhagic disease of the newborn. Vitamin K deficiency is one of the most common causes of bleeding in healthy infants. 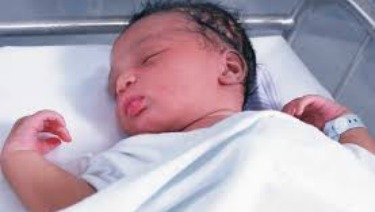 Newborns are inherently vitamin K deficient at birth due to lower stores as well as a decreased ability to utilize vitamin K. It is estimated that the risk of late onset (presents between 2 to 6 months of age) vitamin K deficiency bleeding is 81 times higher in infants not given vitamin K prophylaxis at birth. Vitamin K should be given to all newborn infants as a single, intramuscular dose of 0.5 to 1 mg.
Additional research should be conducted on the efficacy, safety, and bioavailability of oral vitamin K to prevent late vitamin K deficiency bleeding. Health care professionals should promote awareness among families of the risks of late vitamin K deficiency bleeding associated with inadequate vitamin K prophylaxis from current oral dosage regimens, particularly for newborns who are breastfed.